200+ million times on YouTube. You watched Meghan Trainor perform it live for the first time ever and later with Jimmy Fallon and the Roots. You used the song in tens of thousands of your videos, like covering it with an upright bass. Your views helped put the song at the top of the Billboard Hot 100 for weeks. And that’s all just for one song. 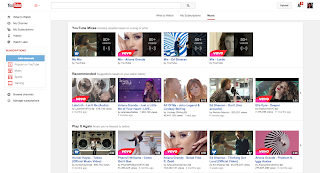 You've watched, shared, remixed, invented, parodied and whatevered your favorite songs, making YouTube the ultimate place for artists and fans to connect. 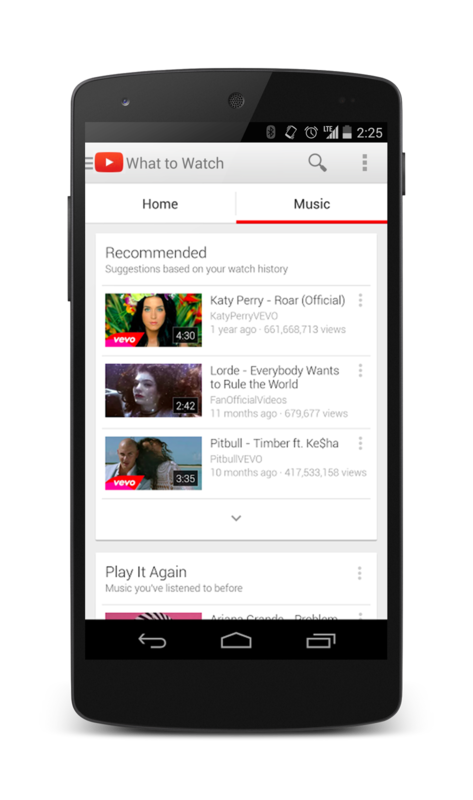 To celebrate all that music and unlock new ways to enjoy, we’re making it easier to find new music on YouTube and rock out to old favourites. Starting today, you’ll see a new home just for music on your YouTube app for Android, iOS and on YouTube.com that shows your favorite music videos, recommended music playlists based on what you’re into and playlists of trending music across YouTube. You can find a playlist to perfectly fit your mood, whether that’s a morning motivators playlist or Boyce Avenue YouTube Mix. Check out the newest songs from channels you subscribe to, like FKA twigs or Childish Gambino. Or quickly find the songs you’ve been playing over and over and over again. You didn’t just watch All About That Bass 200+ million times on YouTube. You watched Meghan Trainor perform it live for the first time ever and later with Jimmy Fallon and the Roots. You used the song in tens of thousands of your videos, like covering it with an upright bass. Your views helped put the song at the top of the Billboard Hot 100 for weeks. And that’s all just for one song.